I hope you all spent a nice and wonderful christmas! Today I'll show my base polish for my next mani. 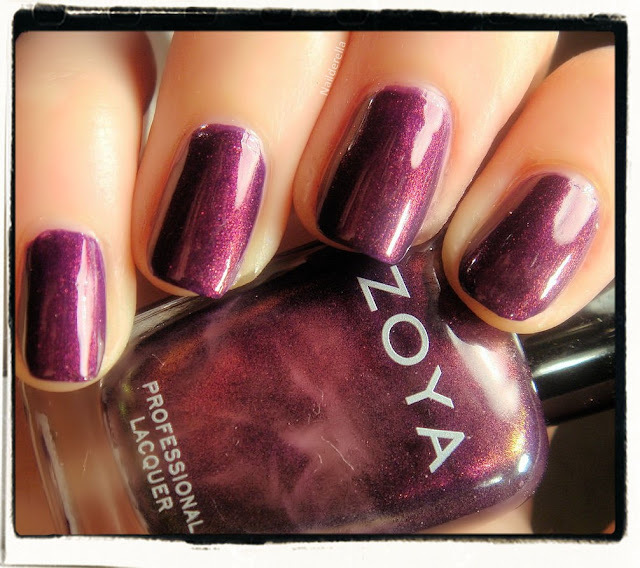 This is Zoya - Yasmeen. 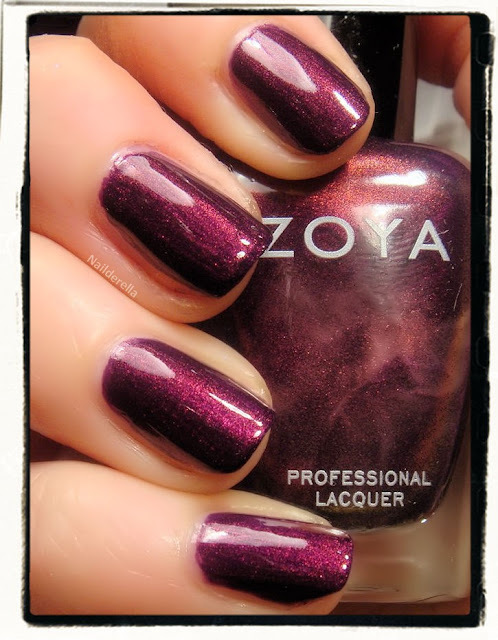 Yasmeen is described by Zoya as a "dark blue-toned purple base with very strong red-toned medium purple shimmer and hints of gold duochrome. 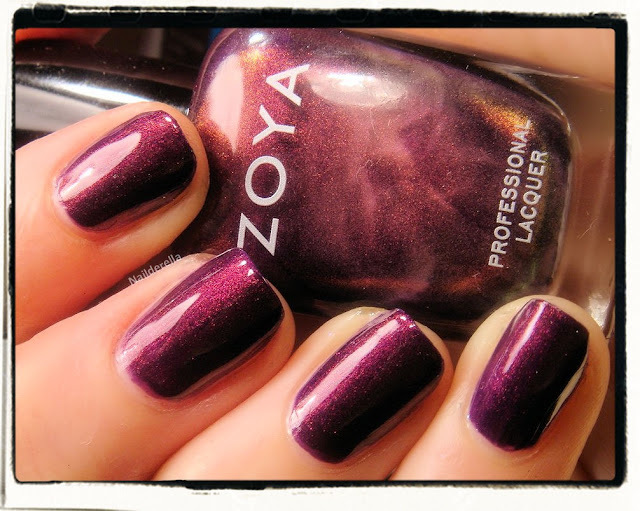 The ultimate complex purple for maximum drama." Honestly I don't really see the dark blue-toned purple, to me it's more red-toned and not blue at all. But there is effectively a very nice gold shimmer. 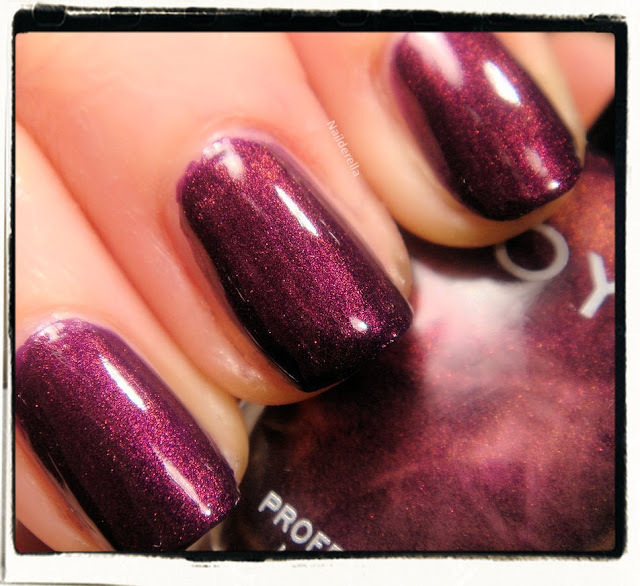 Final verdict: Yasmeen is a very nice purple polish with a gold shimmer. The purple is red-berry-toned. Application was flawless. I used 2 coats to get full opacity. When I compared it to Essence's True Love, I had to use 3 coats. So maybe it depends on how much you load your brush.